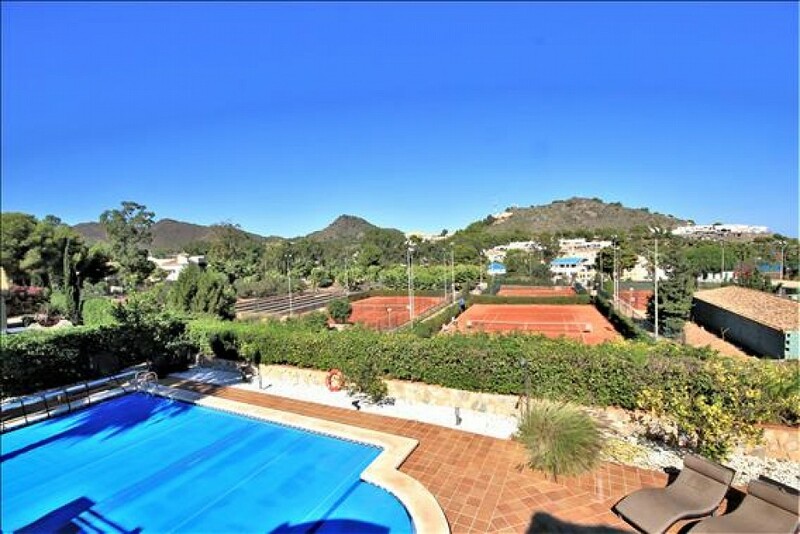 Situated right in the heart of La Manga Club this substantial property is within a two minute walk of the Tennis centre and has easy access to all La Manga Club amenities. The property has been tastefully updated throughout and boasts six double bedrooms, four bathrooms and a guest cloakroom. The upper level of the property comprises the kitchen, living area and master bedroom suite. There are patio doors which lead out from this level to the wonderful terraces which overlook the tennis centre and beyond to the Mar Menor. The private swimming pool is a generous size and the large surrounding terrace has a purpose built barbeque and a fabulous outside bar with raised decking. There are a number of additional storage rooms inside the property. The enormous games room has a large sitting area and this leads directly on to the pool terrace and garden. Euros shown at 1.20 as a guide only.